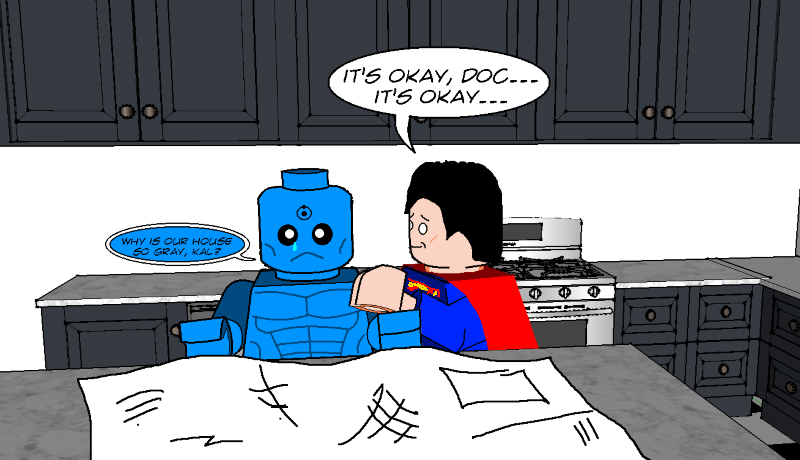 All this talk of Superman and Dr Manhattan meeting up got me to thinking . . . and this was the result. 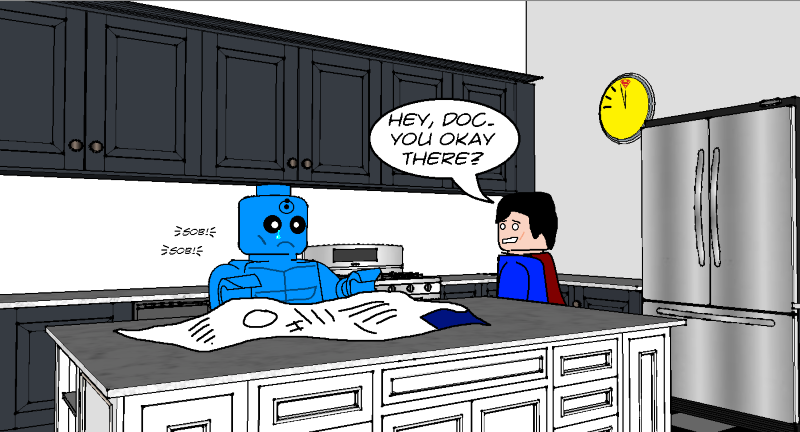 Be gentle with me, it’s my first attempt at what could only just be called a web comic. 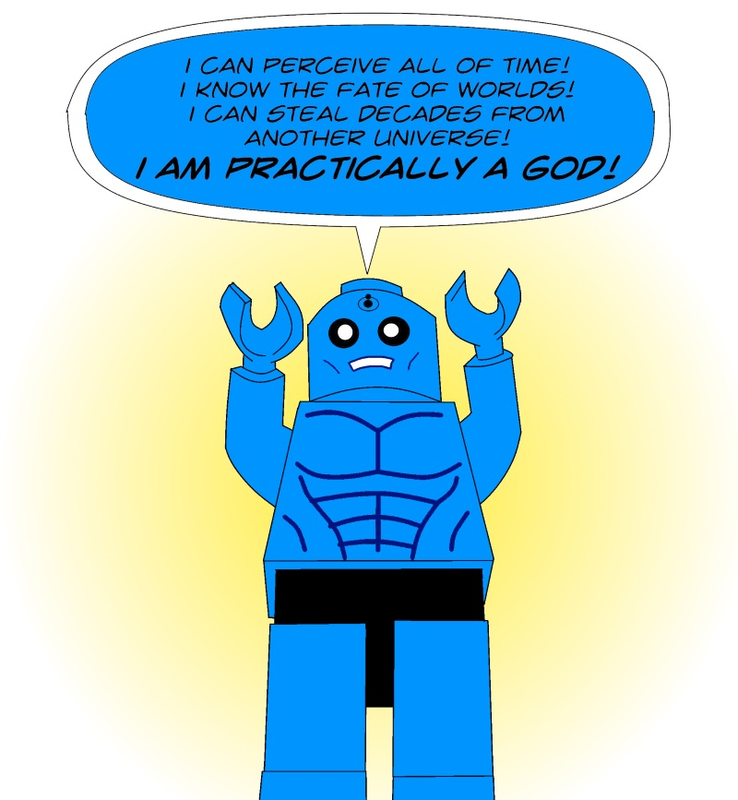 Posted on Monday, October 9, 2017 Friday, October 20, 2017 by GaryPosted in WebcomicTagged Dr Manhattan, Lego, Superman. Ha! Nice. I can relate to that struggle myself sometimes. It’s a universal thing from which to suffer! Plus, I had to do something with all these Lego minifigs I’ve been buying. Money well-spent Gary. I’m looking forward to seeing more of these, especially the ones with Doc Manhattan and Supes. I have a couple of ideas for some silly punchline strips; who knows if I’ll carry on with them beyond that. They’re fun to do but do take up a fair bit of time. Oh yeah? Like how long on average? Yeah, I hear ya’ tho, I don’t do my skits everyday, just once, maybe twice a week. This first one took the best part of a week, an hour or so each evening. I originally tried photographing the figures (inspired by your stuff, to be honest!) 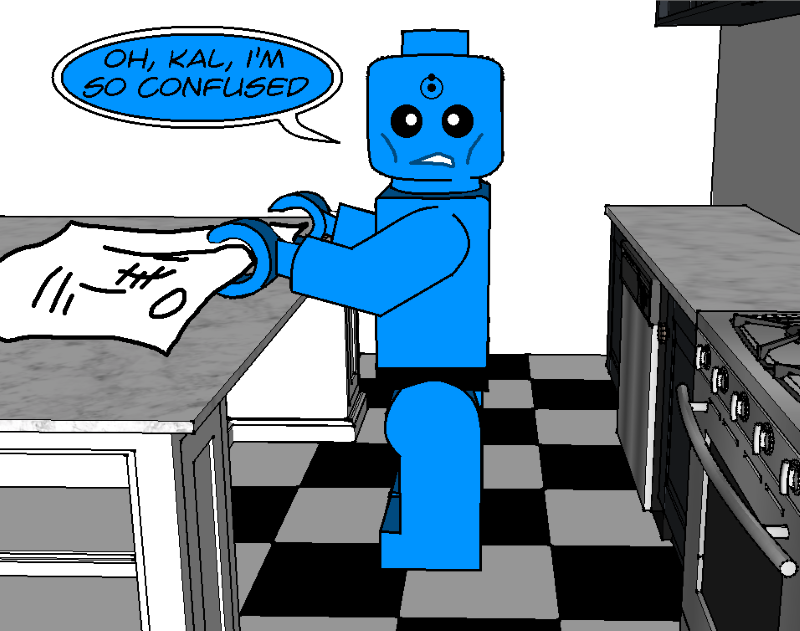 and hand drawing the kitchen around them. So completely didn’t work! 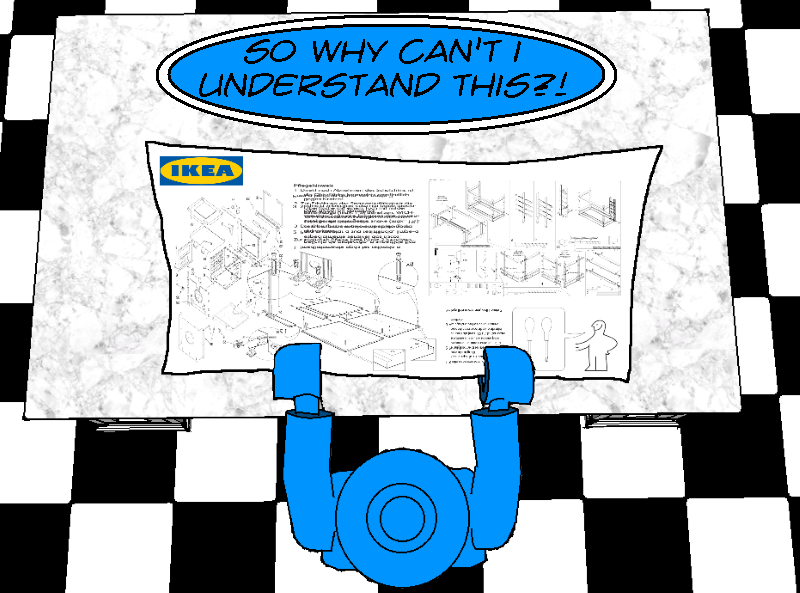 I ended up using SketchUp, a 3D modelling program, for the kitchen and basic Lego figures, then hand drawing over them for the colours, logos etc. I’ve just finished the next one but that’s a simple two figure sketch with one scene repeated with only minor changes and no background so was a lot quicker. If I continue them, I’ll get the figures modelled in SketchUp so I don’t have to worry about colouring and stuff; all I’ll need to add is the text. How long does an average sketch take for you? Wow. And I’m flattered, ha ha. I might have to check that program out though. I wonder if I could apply to my stuff as well for shits and giggles. My process doesn’t take too, too long. The picture-taking is the quickest part, and the editing the longest. Depends on how many different pictures I’m having to edit, but no more than, oh , let’s say 30-45 minutes. Again it depends on how many pictures I’m having to edit, and how many special effects I use. But yeah man, I’m down to see more of this when you have the time and the inclination to do more. You’re really only limited to your imagination, depth of story ideas, and interest. I thought the comic was quite good. Thanks – not sure how many of these I’ll do but it was fun to play with.